Hermann is currently researching the Slí Dhala. this is essentially an ancient version of the N7 route from Dublin to Limerick. 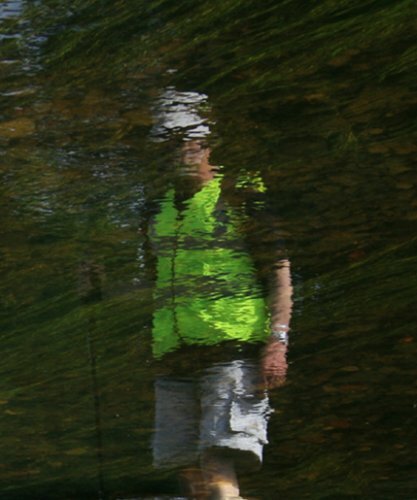 As part of his research Hermann intends to walk the whole route, in stages, and will, by the time you read this, have covered more than half the distane. 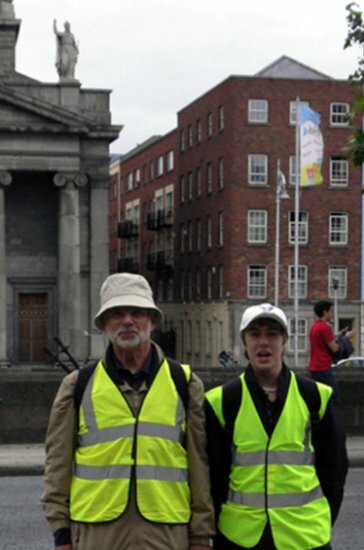 Starting from Usher’s Quay, the site of the ancient Liffey ford (Ath Cliath), he walked the first two legs of this journey in the company of his grandson, Paul. 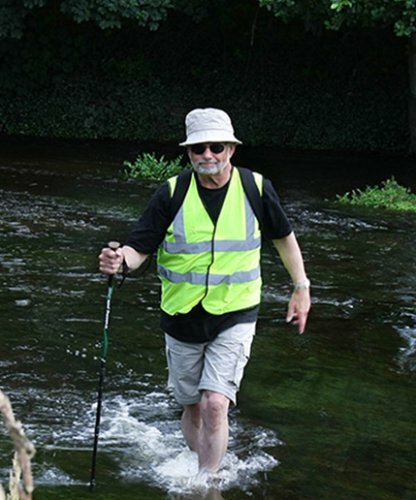 On his walk he had to cross the River Liffey at Connell Ford near Newbridge, Co. Kildare. While on the whole the river here was quite shallow, it was also very deep in some places.